Save big on Black Friday online specials on all homeschooling products at Alpha Omega Publications! First, hurry to be one of the first 50 people to place an online order, and you’ll receive an incredible 40% off your entire purchase with coupon code BLKFRIDAY40! 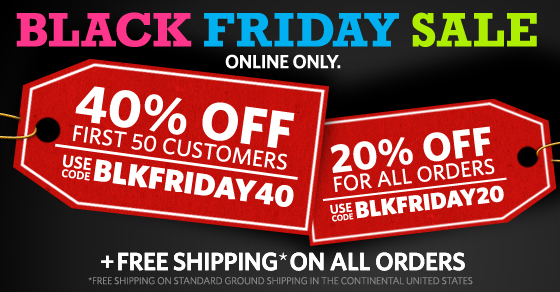 If you prefer to shop later, you can still get 20% off all online orders with coupon code BLKFRIDAY20. Best of all, no matter when you shop on Black Friday, we’re including free shipping* on every order! To order, simply shop online on Friday, November 29! *Free shipping applies to standard ground shipping in the continental United States for all online orders. Black Friday Sale is November 29 only. Sale starts at 12 a.m. (MT) and ends at 11:59 p.m. (MT). This offer cannot be combined with any other offer.